A welcome addition to a already trendy neighborhood, Corner Office brings a Southern Californian atmosphere to Taipei. 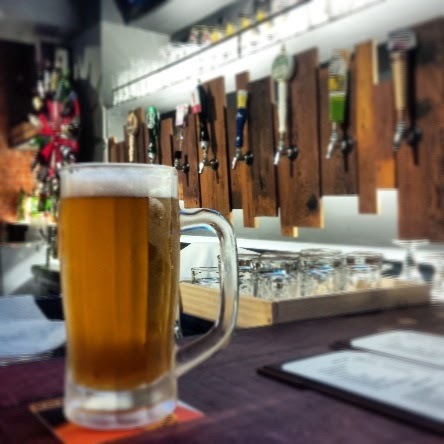 Although Corner Office is officially branded as a restaurant serving new-American cuisine, it's impressive selection of draught beer piped through a ten-tap wall make it a must-visit destination for beer-enthusiasts. 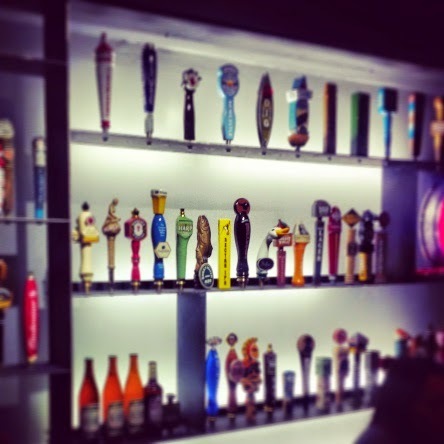 The taps feature a range of imported imported macro-beers and locally brewed craft beers. Those intimidated by the assortment may opt to be aided by the beer selecting spin-wheel behind the bar. Corner Office, also offers a selection of imported wines in addition to a range of spirits to satisfy cocktail drinkers. Corner Office's styling is that of an American gastro-pub and it's impressive wall of beer-tap-handles is worth the visit alone. The vintage Hollywood movie posters that adorn the walls contribute to the Californian vibe, of this awesome bar/restaurant. Corner Office is an awesome place to down a few pints (even if it is officially a restaurant), and my only complaint is that they aren't open later. 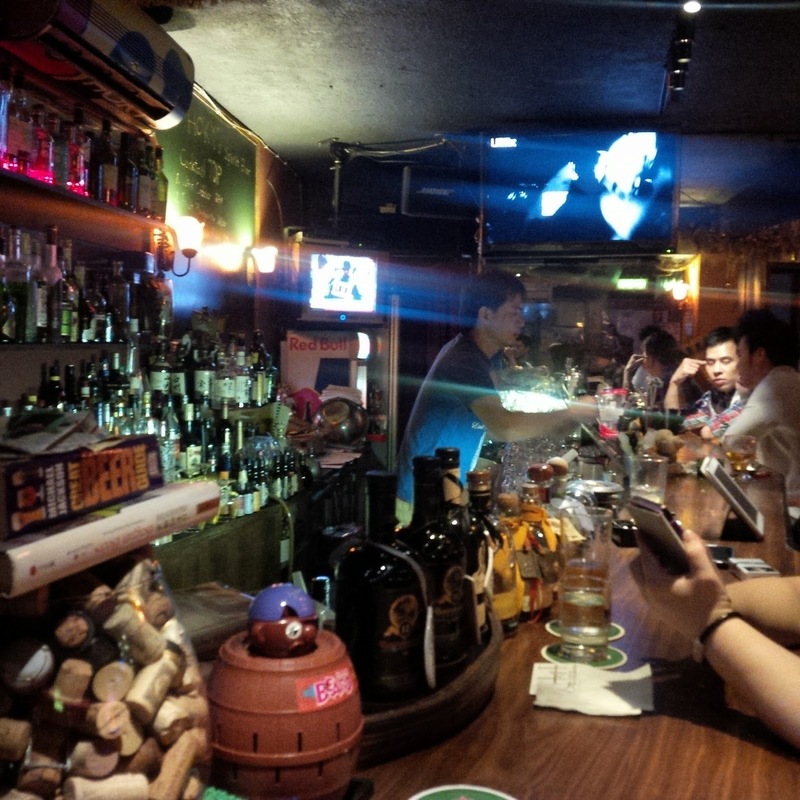 A fairly obscure bar, serving only those in-the-know, Come Here Bar is a trendy little lounge with friendly staff. 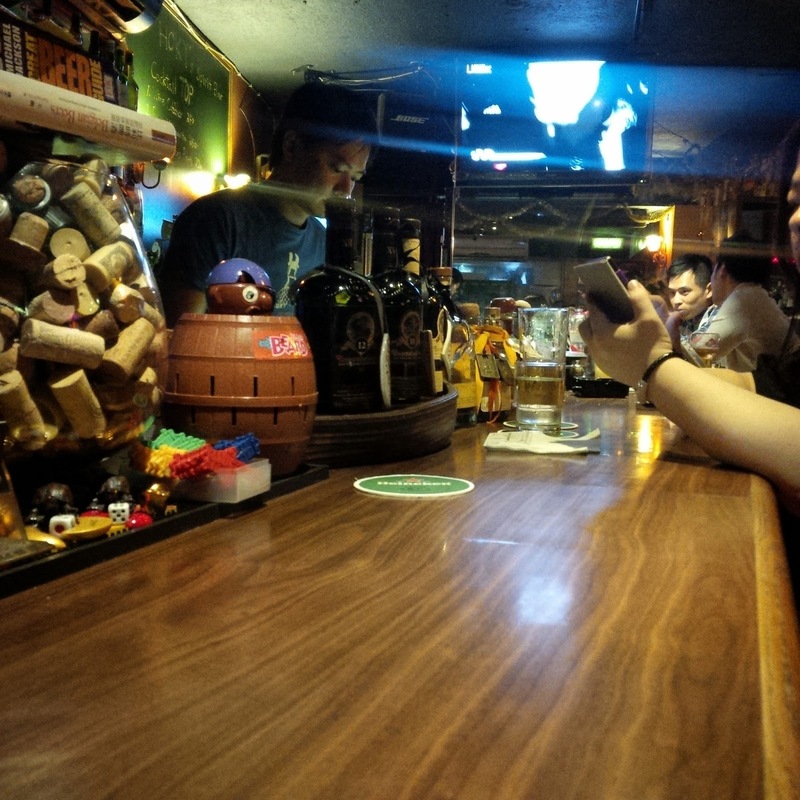 Situated on the busy Keelung Road, Come Here is seen by thousands of commuters everyday, however it's isolated location makes it an unlikely stop on a pub-hopping night out. Come Here Bar is a small and intimate setting that is dimly lit with stylish lighting and a central horseshoe shaped bar. 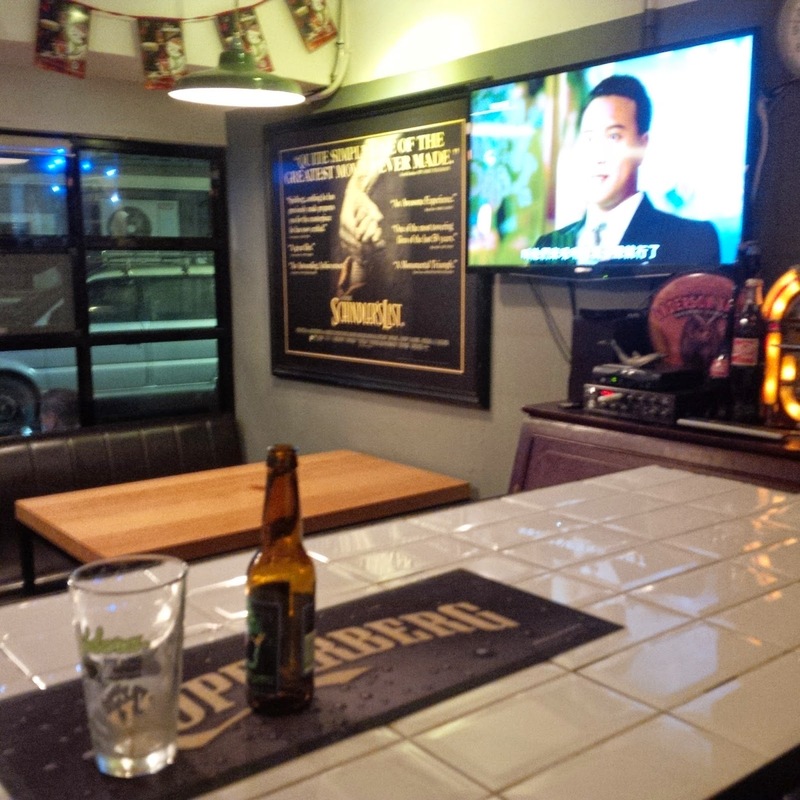 Electronic darts and a large TV provide entertainment to those unsatisfied by drinks alone. 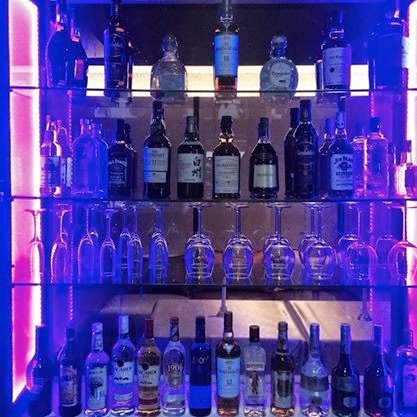 Well stocked with spirits and champagnes, Come Here is a nice place for a night-cap. 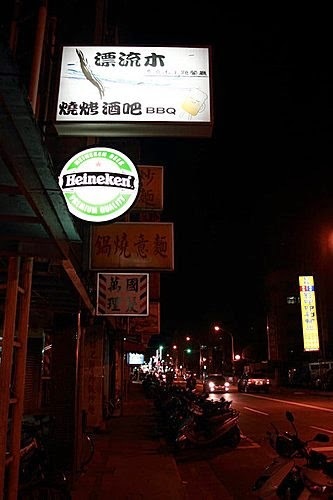 A limited beer menu features Taiwan Gold Medal and Heineken. If you find yourself in the near vicinity of Come Here Bar, you should pay a visit to this nice little lounge bar. 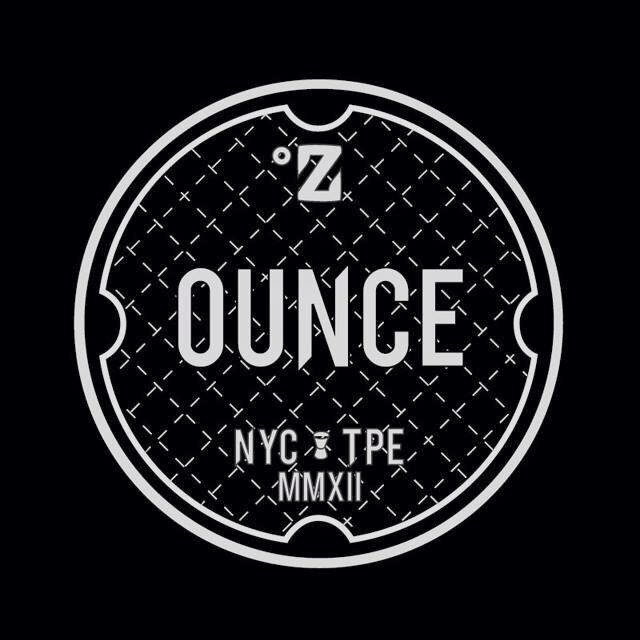 Hours: Daily 20:00 - ??? Smack in the centre of the tendy Dong-Qu amongst fashionable boutiques and classy lounge bars, Hoky's is a fish out of water. Hoky's Spirit Bar's authentic local atmosphere sets it apart from the other bars in the area. Hoky's has a loyal crowd of regulars in addition to some walk-in traffic in this popular nightlife area. 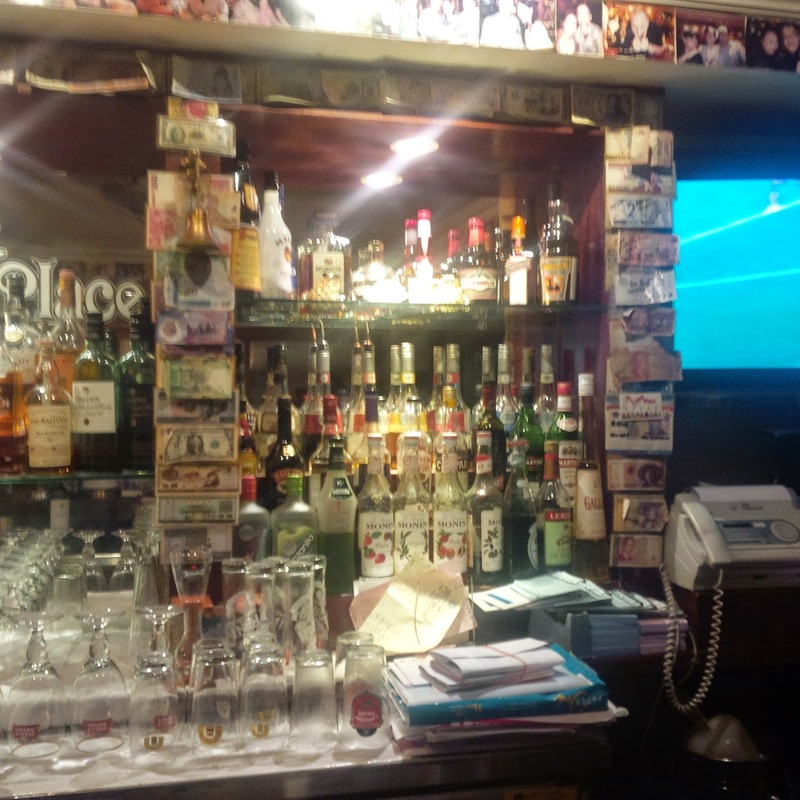 The bar is small and dark which may make it seem unwelcoming to unfamiliar patrons, however, the bar stocks a wide selection of local drinking games, which could be the perfect icebreakers for making friends. Hoky's has an extensive collection of spirits from around the world. Atypical of dive-like bar, Hoky's stock a nice range of imported craft beers, in addition to the very typical Taiwan beer ($180NTD). 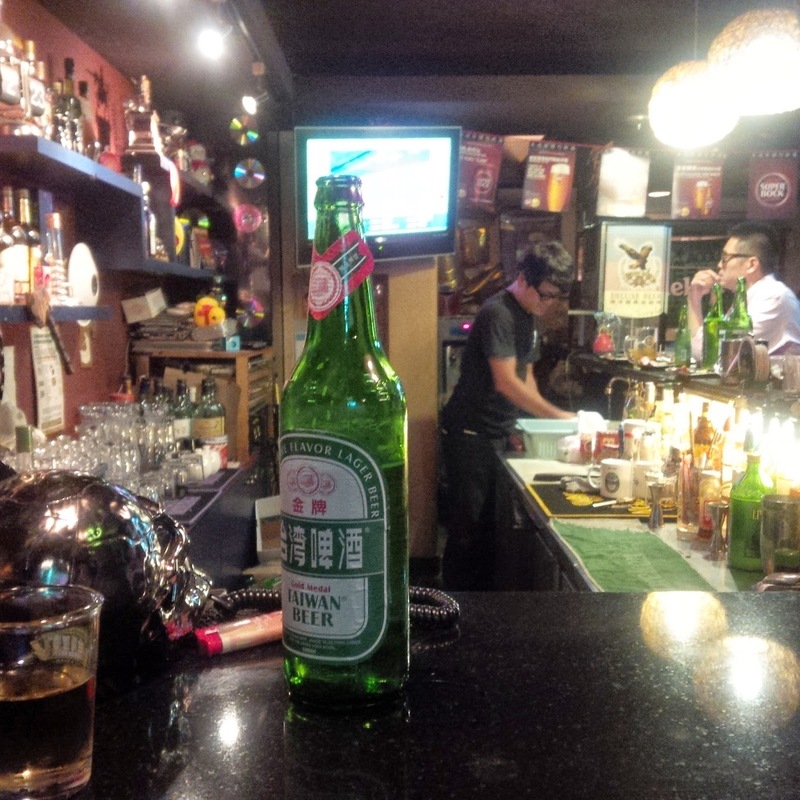 A nice little pub to spend an evening in, or to stop by at while bar-hopping in the DongQu district. 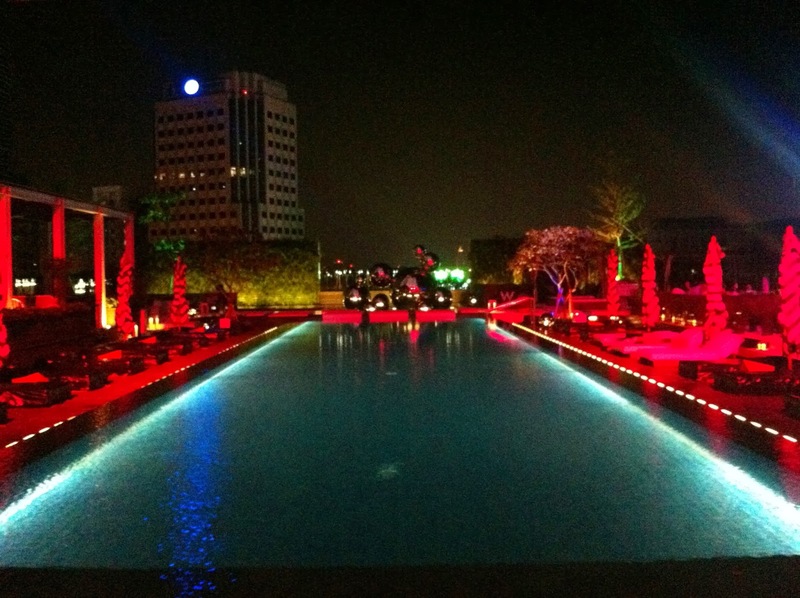 With stunning views of the adjacent 101 Tower, Halo provides an all around premium experience. Located on the 8th floor of ATT 4 Fun, Halo has quickly become a hot-spot among Taipei's beautiful people. Halo's upscale décor is sure to impress, while their open air balcony is a contender for of the best outdoor nightlife spots in the city. Drink selection includes everything one would expect from a Xinyi lounge/nightclub complete with Heineken as the 'token' European beer. 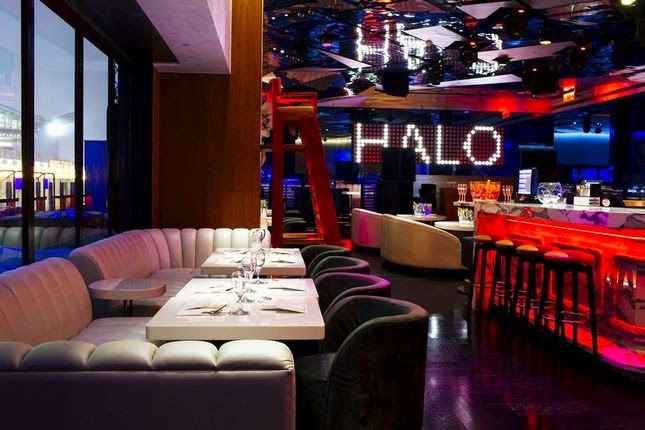 Halo is nice lounge for a stylish night on the town, the views and atmosphere on balcony, alone, make Halo worth a visit. 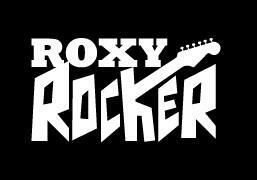 After a year in absence Roxy Rocker is open again in the same location! 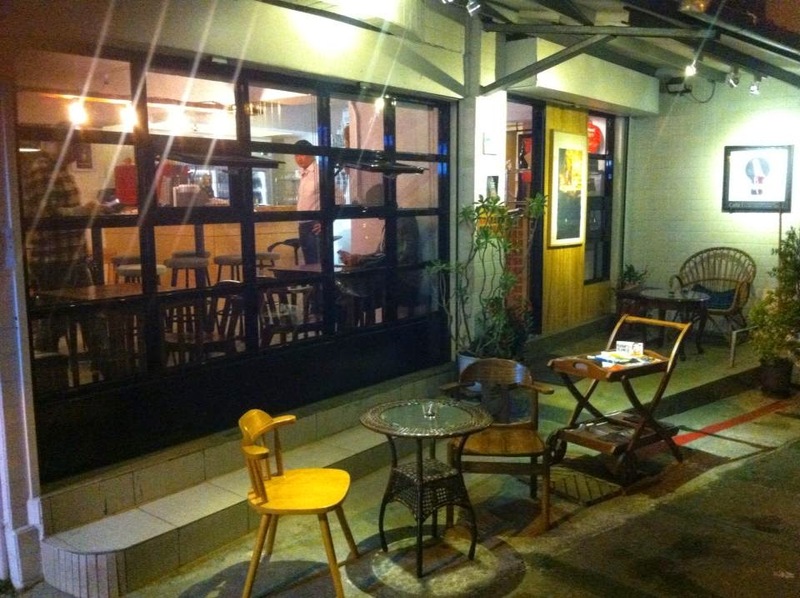 An excellent location near to ShiDa's Mandarin training center and a chill atmosphere make Roxy Rocker a fitting part of the Roxy family. Great drink specials and a full food menu make Rocker an excellent option any night of the week. Their vast and impressive collection of rock vinyl and CD alone is worth a visit. 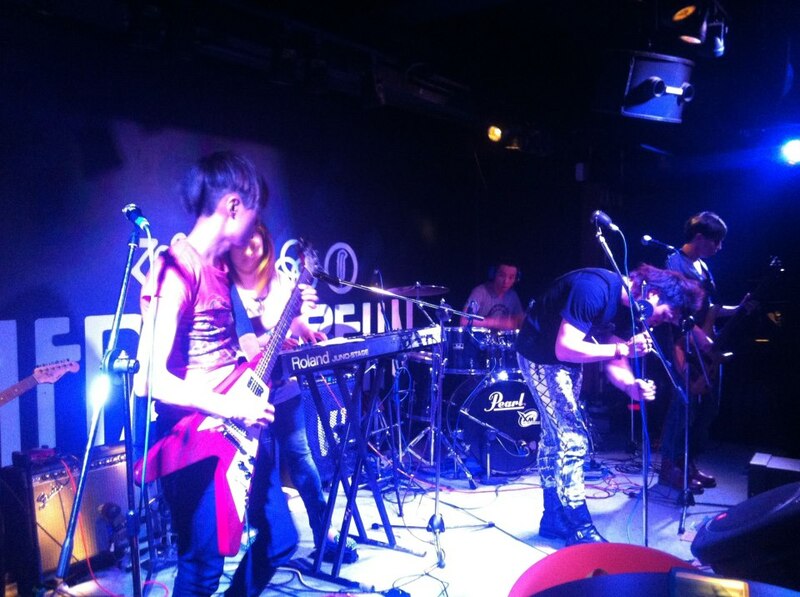 Live music performances are often free of charge and the staff and DJs are knowledgeable music lovers. Bottled beers are NT$180 to NT$220 and cocktails are NT$200 and up. 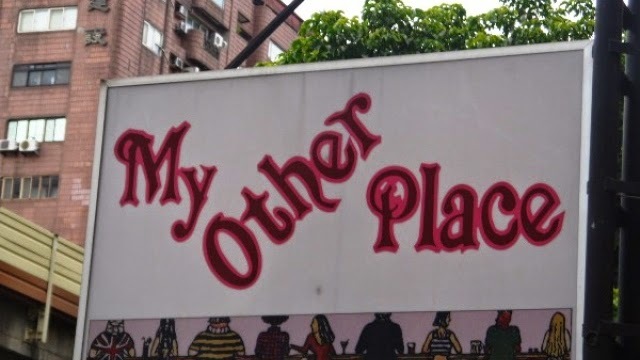 Little London is a home away from home from British expats living in Taipei. The decor, menu and service all reflect those of a quaint and friendly London pub. 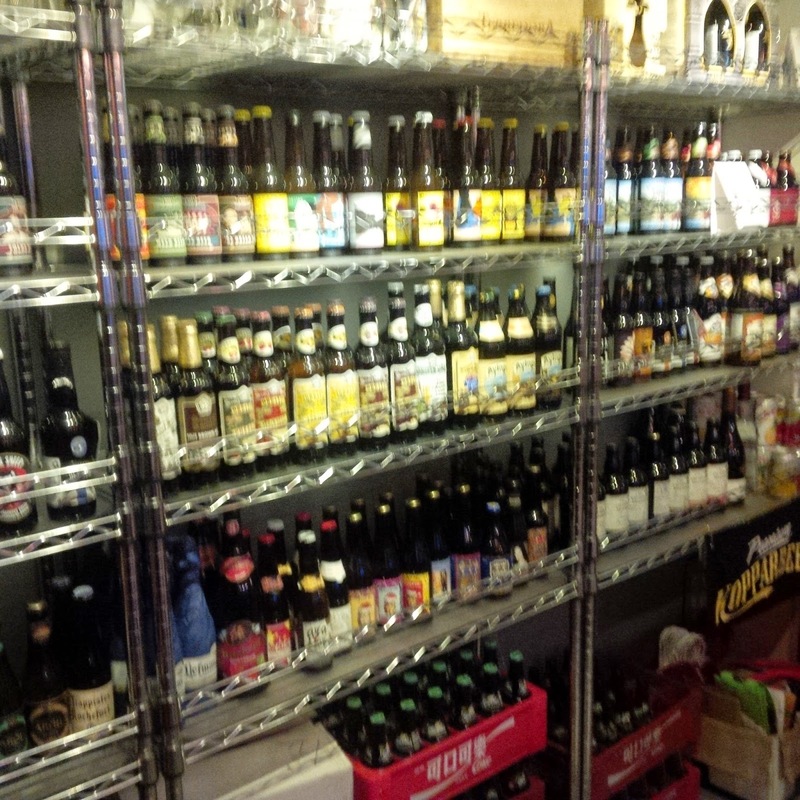 Little London offers a wide range of imported beers in addition to some of Taiwan's finest craft brewed ales. In true British fashion, a range of teas are on offer for non-drinkers, as well as a fine selection of pub-grub. 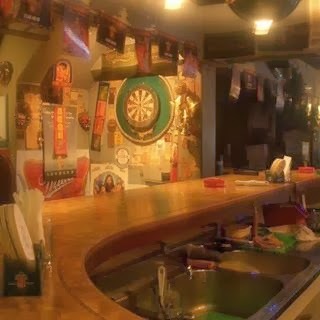 The owner/bartender is a beer lover and happy to share his knowledge of beer with patrons. 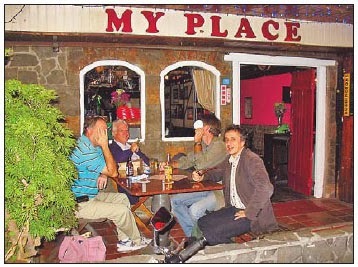 The service is friendly and the regular crowd is a fine selection of expats and locals. Little London is an excellent craft beer bar, pub, and cafe and our only complaint is that they don't stay open later! Driftwood is a classic Taipei institution that has long served locals and foreign students in the Gongguan neighbourhood. Situated a stone's throw from the TaiDa dormitories, Driftwood from both a rotating supply of students along with a loyal crowd of regulars. 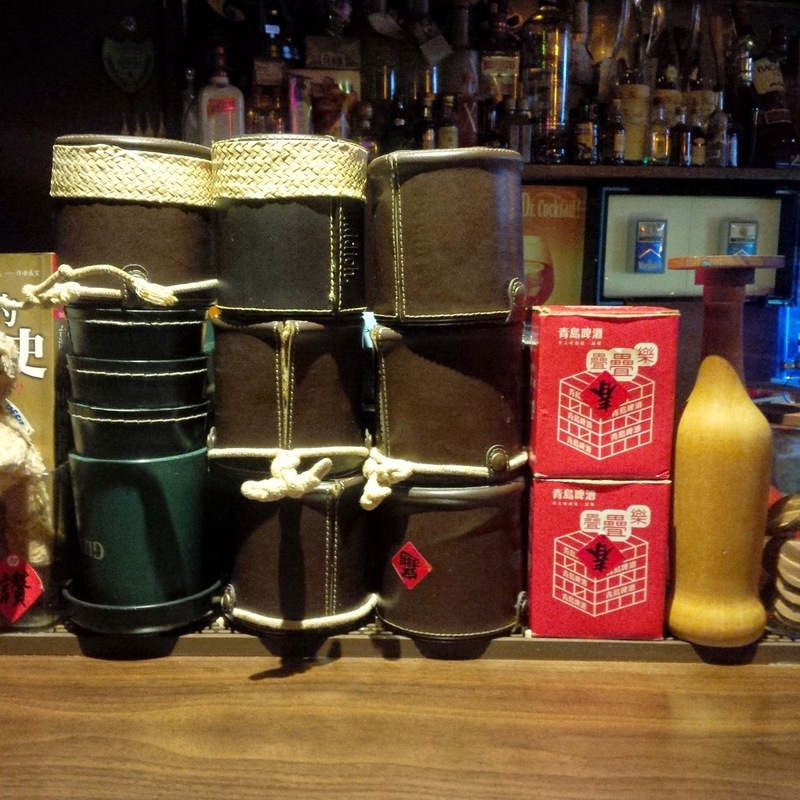 Driftwood, is Taiwanese aboriginal owned and operated and aboriginal culture influences the food and decor of the bar. 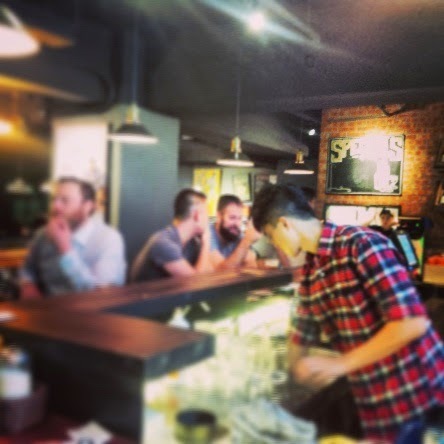 Beer, wine, whiskey and cocktails are complemented by aboriginal food and Chinese snacks and often on weekends, the bar features live aboriginal music. 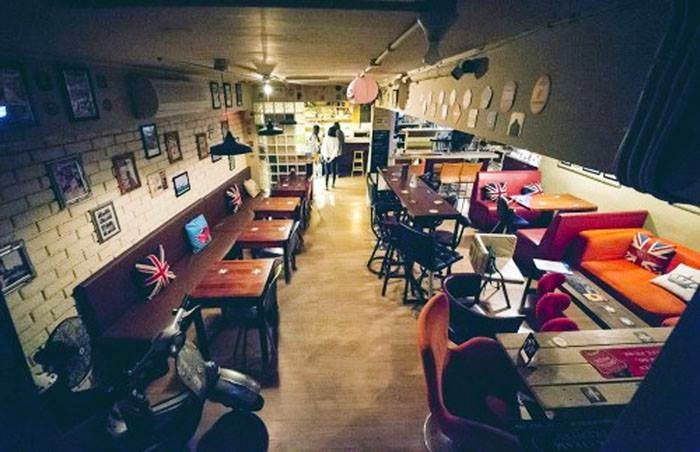 Driftwood is a must visit for students and residents of the Gongguan neighbourhood and well-worth an addition to any Taipei bar-hopper's itinerary. 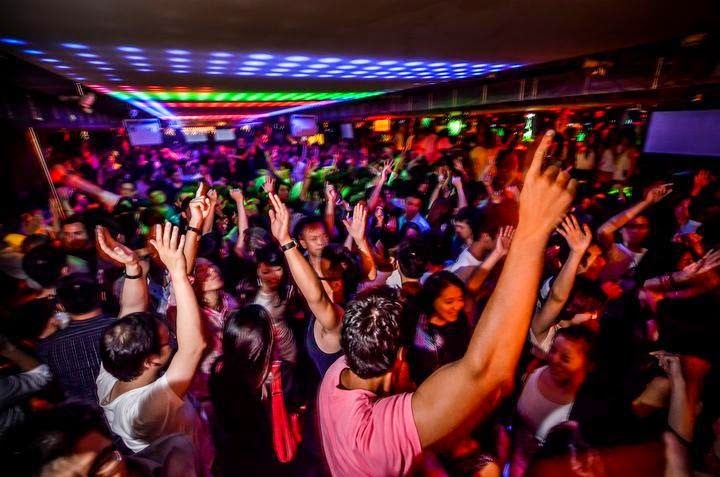 Part of a trio of popular all-you-can-drink nightclubs at the Living Mall, Pacha club is a cool club popular with Taiwanese students. 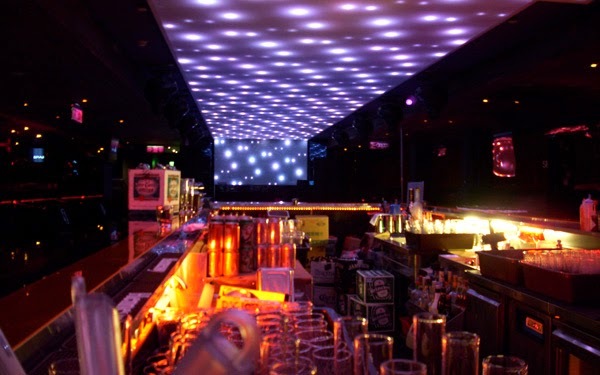 Bearing the name of one of the world's most famous nightclubs, Pacha Taipei has no official connection to the the Ibiza super-club. Pacha Taipei does, however, live up to the hard partying reputation of it's namesake. Pacha features international and local Dj's spinning club hits for a packed dancefloor. The impressive overhead LED display pulsates along with the pounding bass from the awesome sound system. Pacha is an all-you-can-drink bar with international beers and a range of cocktail included with entry. Entry is a mere NT$200 for ladies on Wednesdays and NT$600 for me; Women and and men on Fridays cost NT$400 and NT$700 respectively and NT$500 and NT$800 on Saturdays. Pacha is great venue that provides a nice break from the typical foreigner/expat crowded club-scene. 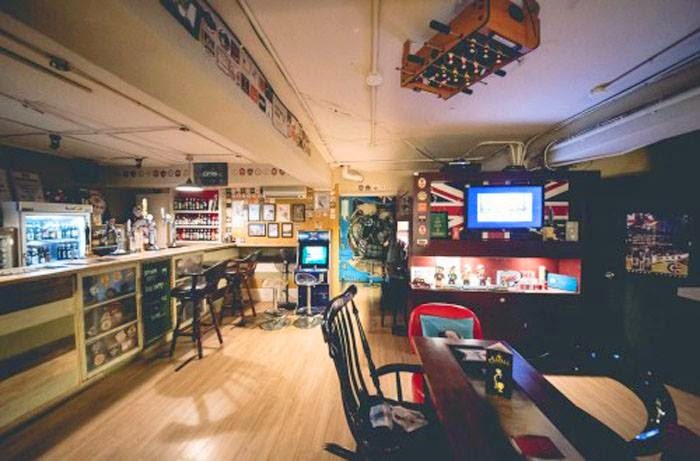 Maybe Music Bar is an excellent haunt for lovers of karaoke and rock 'n' roll. 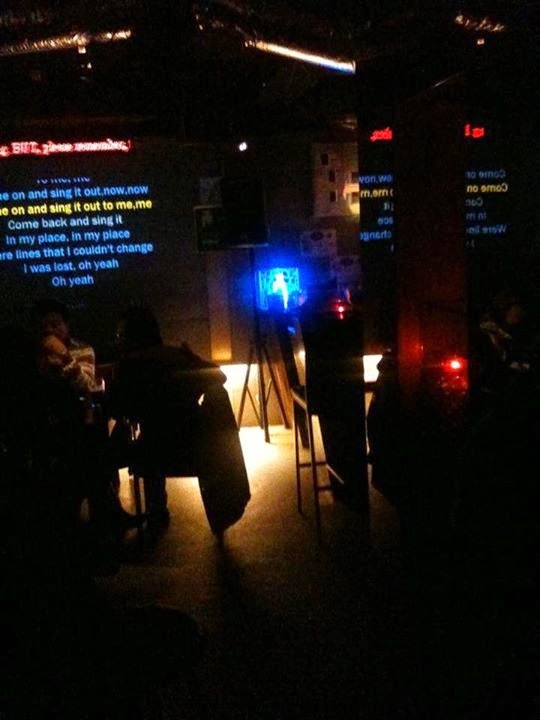 Taiwanese and foreigners westerners alike belt out western rock classics in the dimly lit little bar. 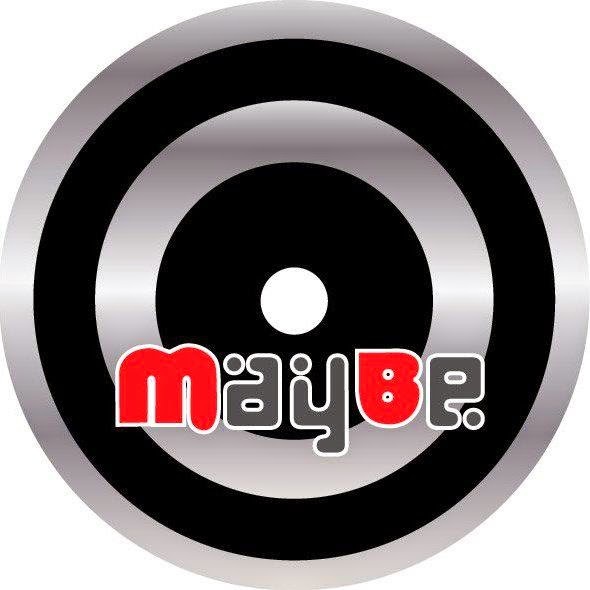 Music at Maybe is open to requests and sing-a-longs. Most classic songs are available, as long as they conform to two important rules: 1) No Mandarin or Taiwanese music; 2) No Hip Hop or techno music. 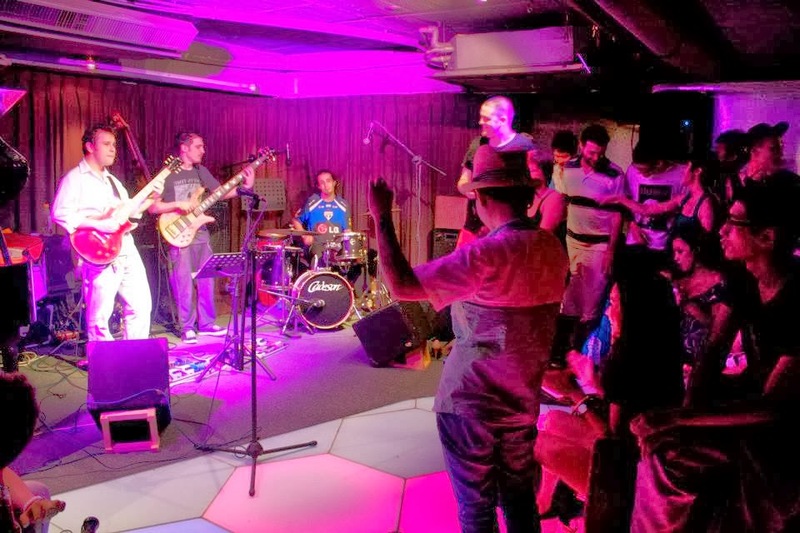 Needless to say, the owners of Maybe Music Bar are serious about classic American rock 'n' roll and Maybe is a great place to jam out to cool tunes, or to take the mike and bring out your inner rock-star. Drinks run the gambit from classic cocktails to domestic beers, a minimum charge in addition to a 10% service charge ensures that only those committed to the Taipei rock music scene frequent the bar. 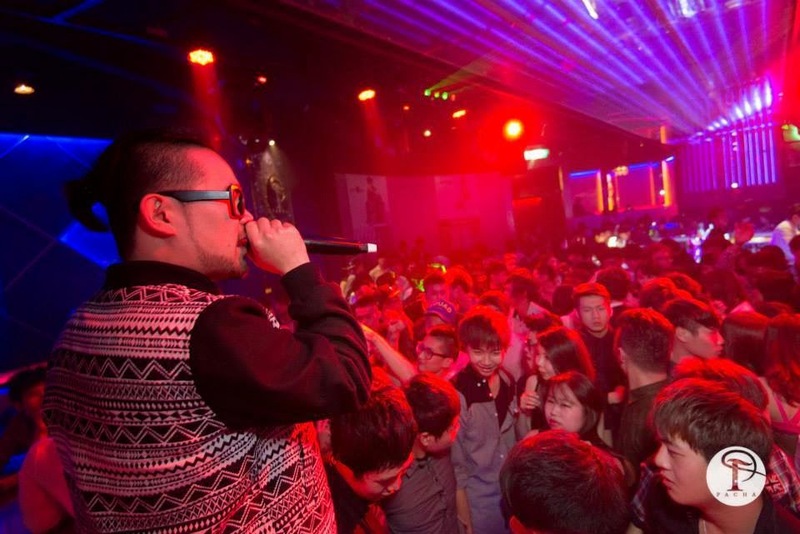 Elektro is one of Taipe's hottest new nightclubs and a welcome addition to the club scene. 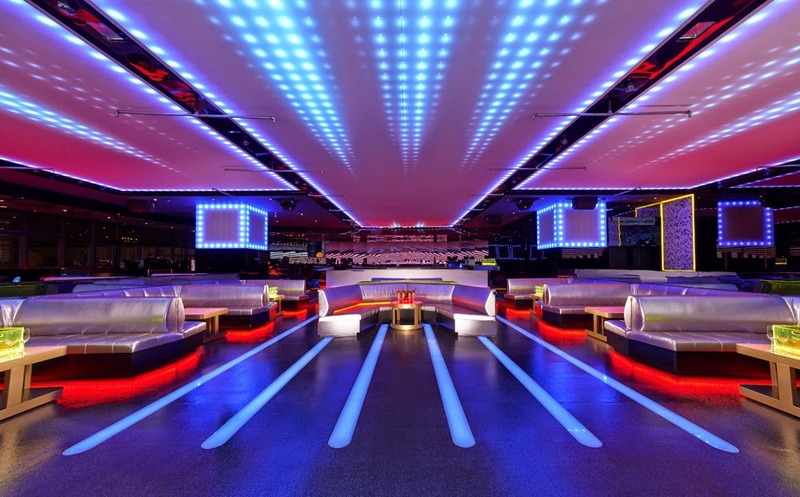 Opening in late 2013, Elektro occupies the seventh floor of the ATT4Fun building which has long since established itself as hotbed of partying with the highly popular Myst Club two floors above. Elektro brings together the same well-heeled club as it's predecessor at the base of 101. The familiar ambiance of overhead lighting displays and a packed dancefloor will not disappoint long-time fans of Elektro. 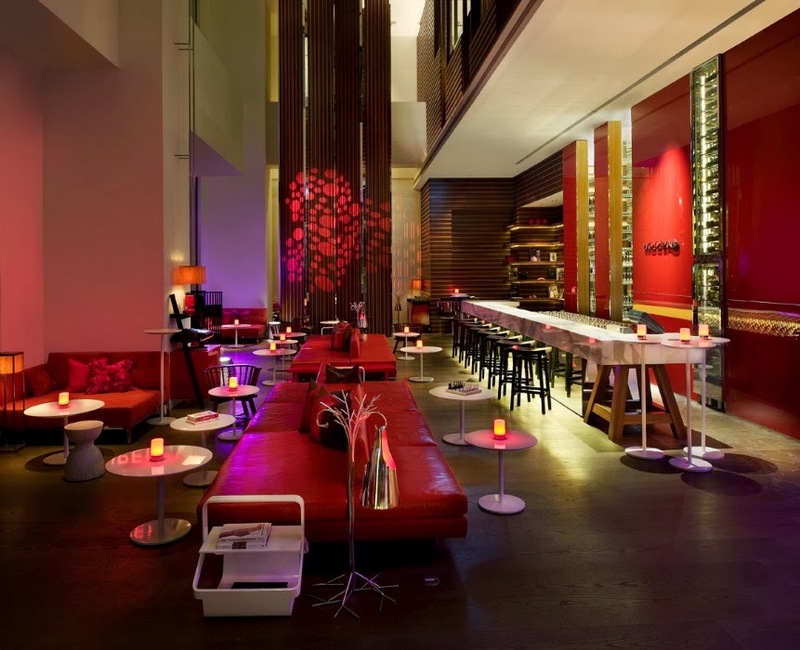 An entire wall of the club is windowed, looking out over the Xinyi district, adding to the stylish feel of the club. While the dancefloor is the focus of the nightclub, it often fills up to the point of being overcrowded, allowing little space for any real dancing. 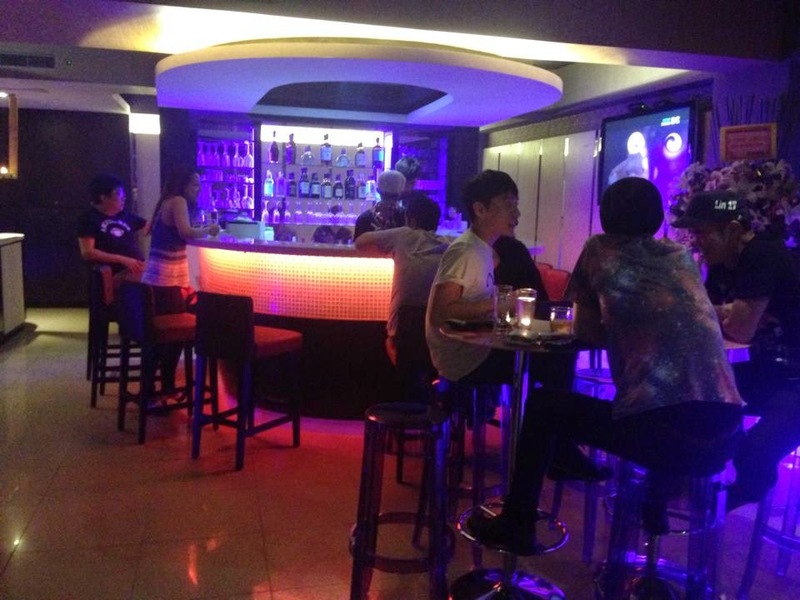 Drinks and cover don't come cheap, as is the norm for a club popular with many Taiwanese celebrities and socialites. 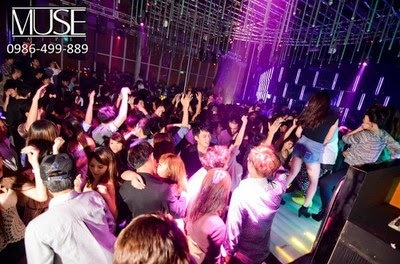 Away from the familiar foreigner pub haunts, on the top floor of the mall famed for it's spherical exterior, Muse is a great nightclub to party the night away in Taipei. The top floor of the Core Pacific Mall (京華城), popularly known as the Living Mall, contains a strip of nightclubs that are relatively unvisited by foreigners and tourists. Muse is the finest and the largest club of the strip and it's large lit dance-floor fills up nightly. The fervor of the lighted dance floor is hightened by the impressive overhead lighting effects. Some of Taipei's best local and foreign DJs keep the party going with pounding club favorites. 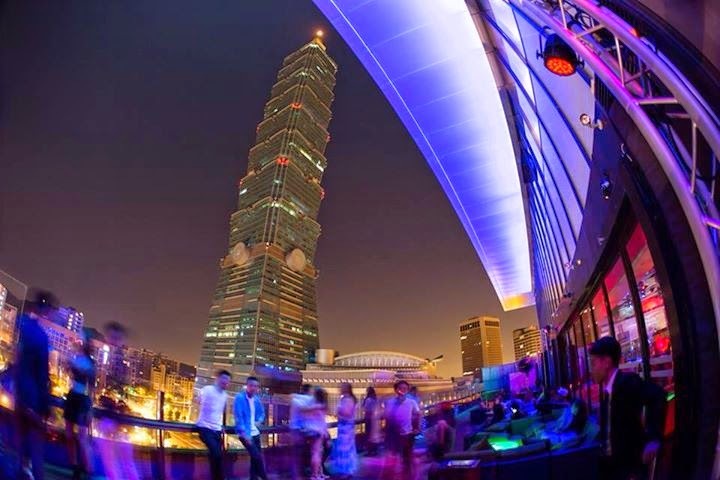 Prestigiously positioned at the base of one of the World's tallest towers, Spark 101 has remained to be one of Taipei's hottest nightclubs since it first opened in 2009. Spark 101 has an enticing interior with ceilings and floors alight with colors that pulsate with the bass of speakers. 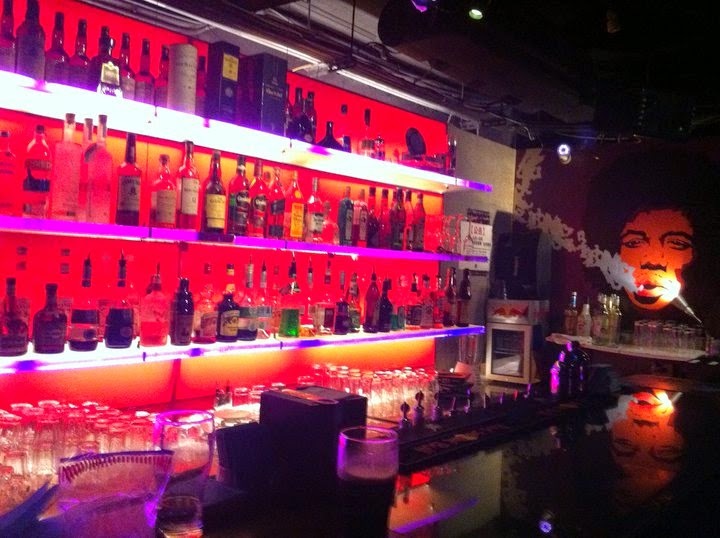 Spark boasts a large VIP section where many of Taipei's best-heeled swill their favorite drinks. The dancefloor is at full capacity most nights of the week, but it's popularity culminates on Friday's and Saturday's. While on Sundays, Monday's and Tuesday's Spark 101 becomes a chilled out lounge bar, Spark 101 now hosts all-you-can-drink Ladies' nights twice weekly; on Wednesdays (ladies free before midnight, $300 after; guys $400 before 12, $600 after) and Thursdays (ladies free until 11, $200 after, men $600 all night). As many standard highballs and Blue-Girl beers as you can handle are included in the price. Friday and Saturday turn up the party (and the price) to full gear (NT$800 with 2 drinks). 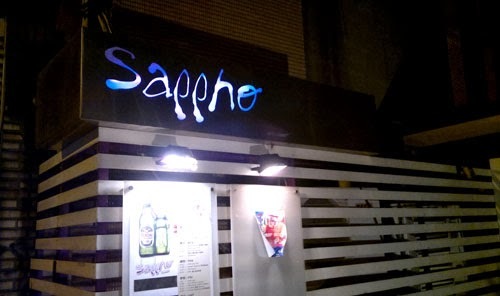 Sappho Live is an excellent live venue that pulsates that brings Taipei's best jazz and blues musicians together with lovers of the music they play. Both local and international artists take to the stage drawing crowds of expats and Taipei born and bred music lovers. Sappho features a minimalist decor with a dance floor, live music stage and lounge seating. The trendy atmosphere is washed down with great cocktails, selected wines and imported beers. Quiet enough to chat, dark enough to get intimate, Sappho is a great place for a date-night or just a night out with friends. 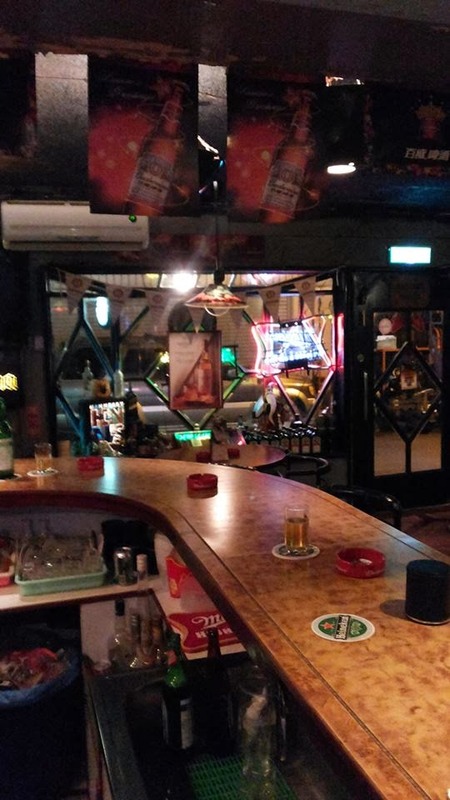 A cozy but stylish little bar in the ShiDa neighborhood that has friendly staff and great prices. 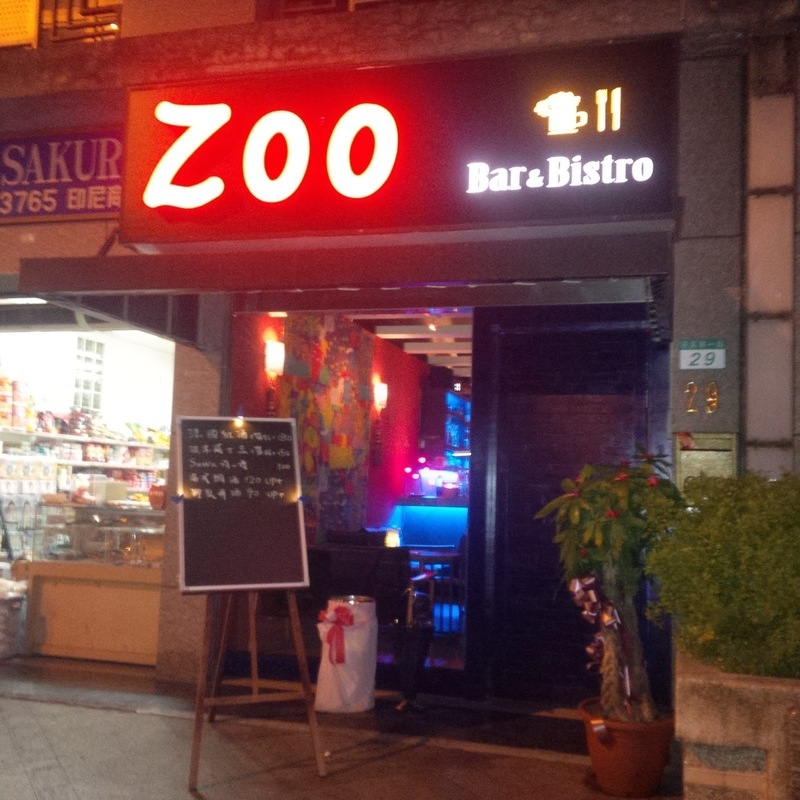 Zoo Bar and Bistro is a new addition to the seemingly declining ShiDa nightlife scene. The low lit inner decor features animal prints that pay homage to the bar's playful name. The chalkboard drink menu along the side wall includes a wide range of notably strong cocktails in addition to bottles of Taiwan Gold Medal and imported Macro lagers priced at a reasonable NT$90 per small bottle. 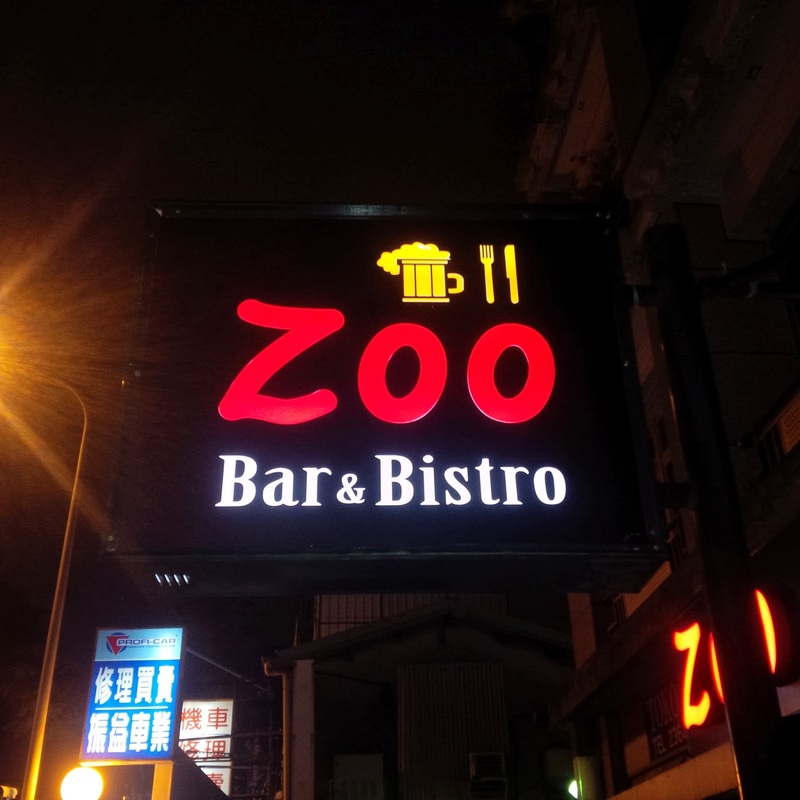 Zoo is a nice place for a quiet drink with friends but don't expect to meet hoards of new friends at this quit , classy little locale. A trendy poolside lounge complete with comfortable lounge sofas and minimalist decor, come together to make Woobar the perfect place to be seen on a night out in Taipei. Every week is chalk full of nightly events in addition to a stylish pre-club crowd on the weekends. 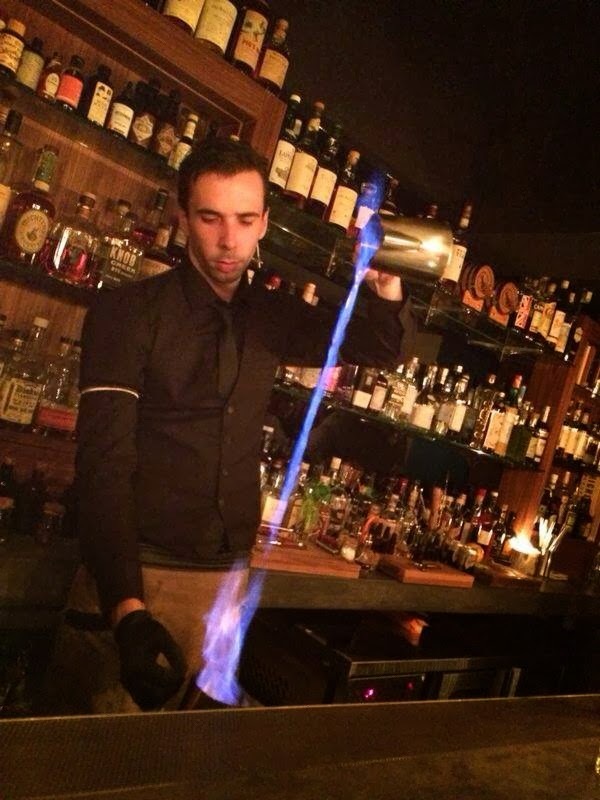 Skilled bartenders at Woobar mix up some of Taipei's most innovative cocktails. Signature drinks include W-made citrus-infused vodka, orange liqueur, fresh lime and cranberry juice topped with cotton candy; hipped chocolate vanilla vodka atop a shaken mixture of our W-made vanilla-infused vodka and premium chocolate creme and many more mouth-watering indulgences. 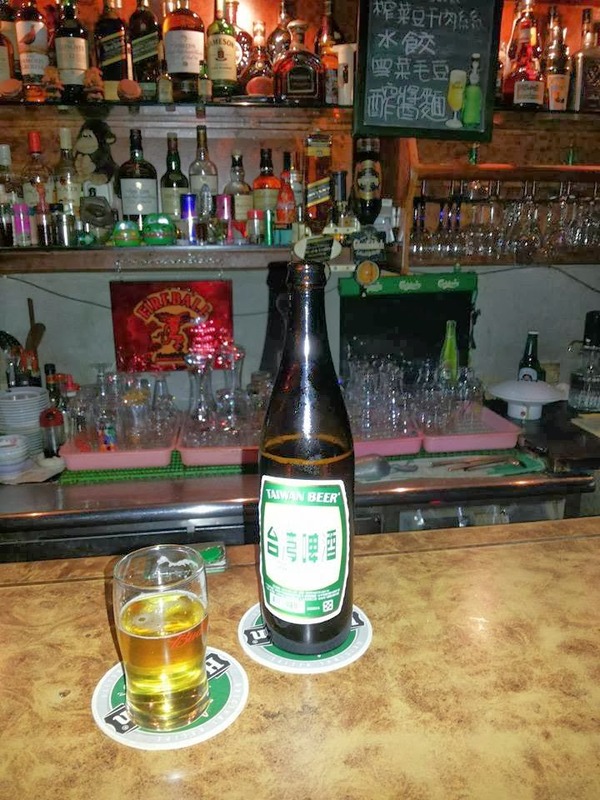 If you're just looking for a beer, their menu includes a wide range of European lagers alongside Taiwan Gold Medal Beer (priced at a slightly steep NT$190 for a small bottle). 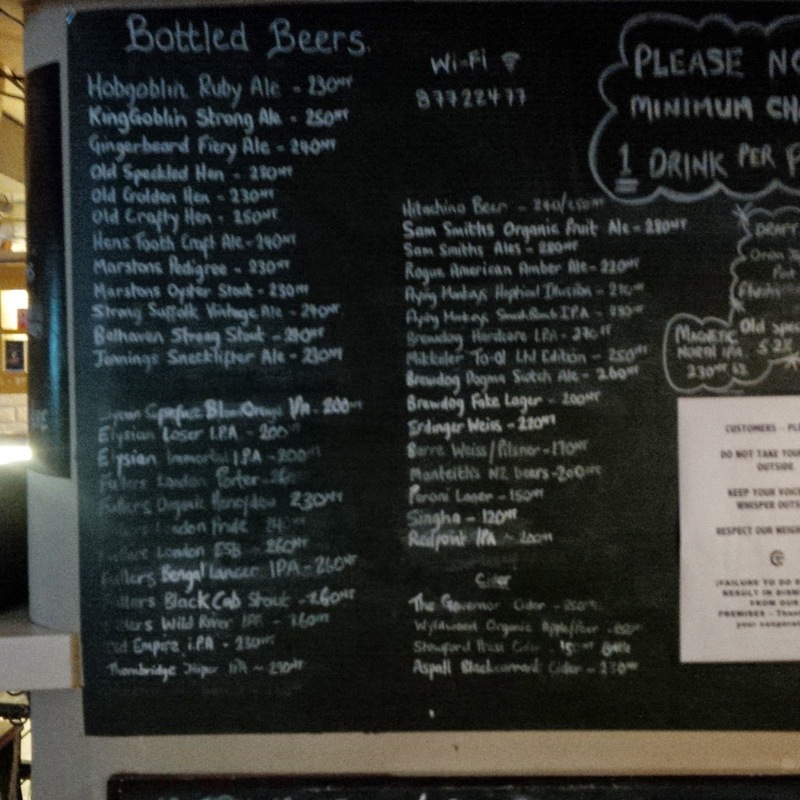 Sure, the drinks aren't cheap a Woobar, but that's not really what you're paying for is it? 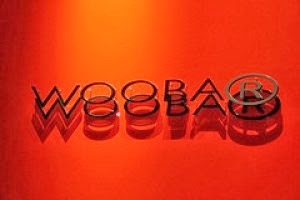 Woobar delivers the high-class atmosphere that one has come to expect from the W Hotel brand. The outdoor poolside balcony is arguably Taipei's best place for relaxing summer drink.